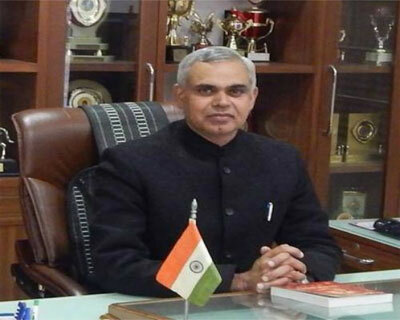 Himachal Pradesh Governor Acharya Devvrat said keeping in view the increasing burden of existing and emerging diseases, and gaps in modern medicines, there was a dire need to include indigenous systems in mainstream medical care. “Ayurveda has identified congenital factors and is science of life. The role of this medicine in management of the disease had been limited to the minimum,” he said at the closing ceremony of the three-day State level Arogya Fair here. The fair was jointly organised by the State Ayurveda department, Ministry of AYSUH and CII. “It correctly identifies the importance of diet and physical activity in daily lifestyle,”Devvrat said, adding the state has a rich treasure of medicinal herbs and plants which are being used to prepare Ayurvedic medicines. Stressing more research in Ayurveda, he said more laboratories should be set up in the state. State Health and Family Welfare Minister Kaul Singh Thakur said concerted efforts have been made in last four years by the government to promote Ayurveda besides allopathy. “It is the need of the hour to adopt the Indian system of treatment. Ayurvedic medical system was the only way for permanent treatment of various disease,” he claimed. Ayurveda and Cooperation Minister Karan Singh said the state was committed to the expansion of Ayurveda and efforts were being made to organise various activities related to it. He said a 50-bed Ayurvedic hospital will be developed in Bajaura in Kullu district and an herbal garden will be opened by next April.